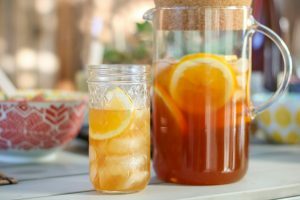 We’re throwing in a nod to the pre-Prohibition era as well with the much more recent culture of cocktail bitters. 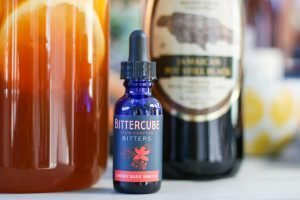 Bittercube’s cherry bark bitters add both a level of bitter complexity and a nod to George Washington’s little foray with a cherry tree. 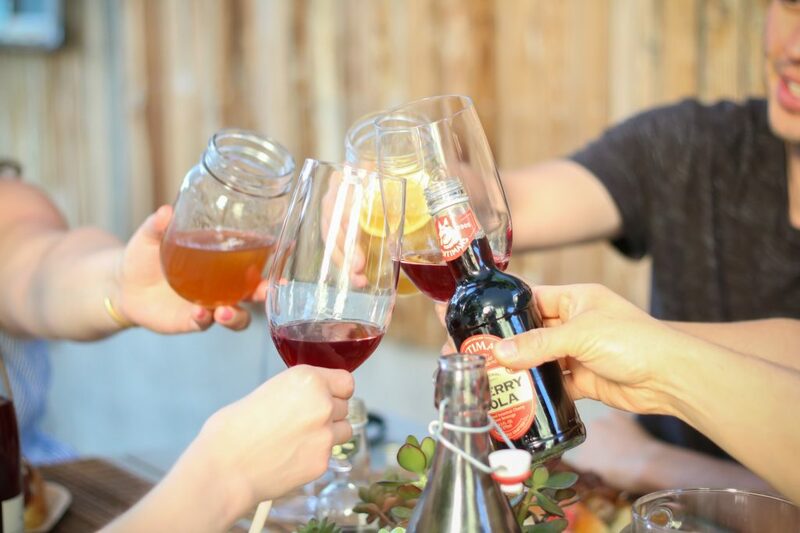 Rebel against the tradition of icy beer with us, and pour yourself a glass of punch. If punches like these were good enough for George Washington and the like, they’re certainly good enough for me. In a large bowl, add sugar and lemon peels, and rub together to release the citrus oils into the sugar. (This is called oleo-saccharum.) Allow oleo-saccharum to infuse for at least 30 minutes. Dissolve sugar with warm tea. Add rum, cognac, lemon juice and bitters. Stir to mix. Add a block of ice to chill, and continue to add smaller pieces of ice for desired dilution. Garnish with lemon wheels and freshly grated nutmeg. Ladle into individual glasses.